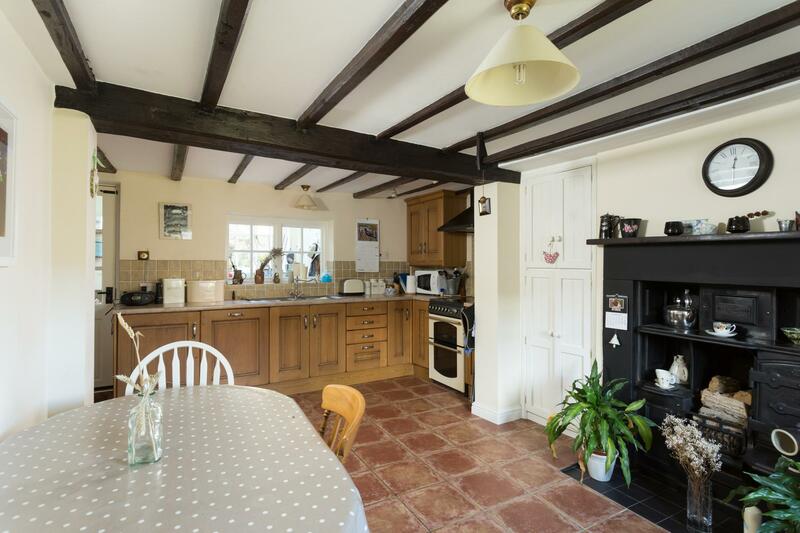 A charming and characterful 3 Bedroomed Georgian Cottage, set within delightful landscaped gardens with off-road parking, in the highly favoured conservation village of Crayke. 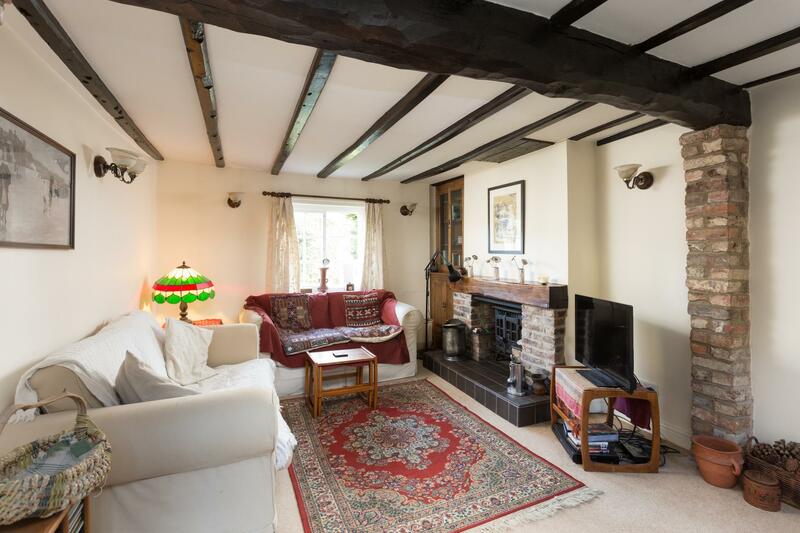 With a wealth of exposed ceiling beams, period fireplaces, braced doors, Yorkshire sliding sash windows and oil-fired central heating. 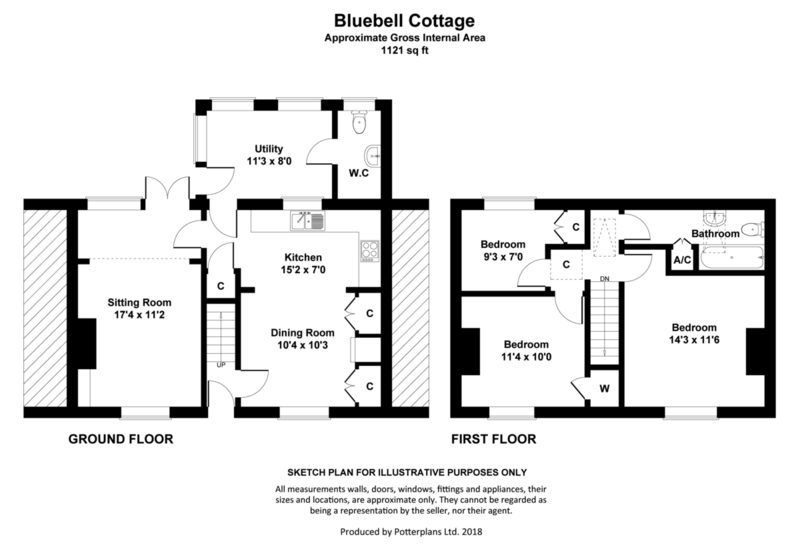 Reception Hall, Sitting Room, Dining Room, Kitchen, Utility Room, Cloakroom/WC. First floor landing, 3 Bedrooms, Bathroom/WC. 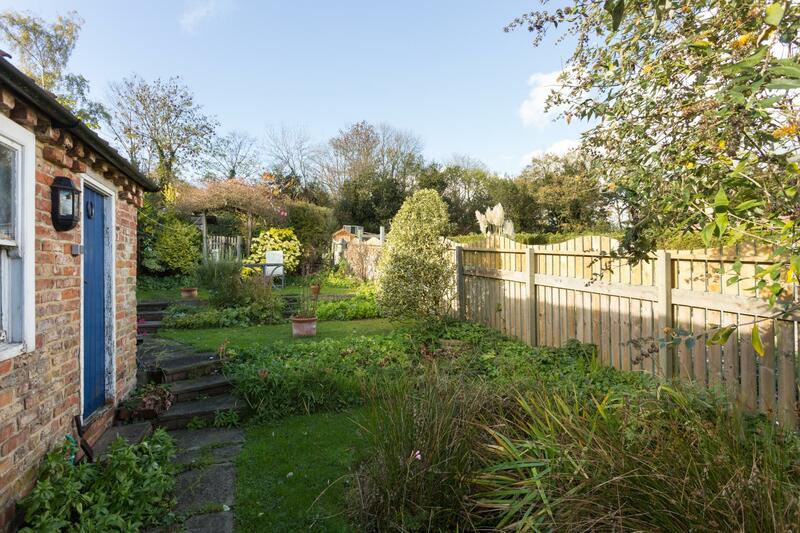 Front Cottage Garden, Generous Terraced Rear Gardens, Brick Workshop, Vegetable Garden, Timber Store and Off-Road Parking. 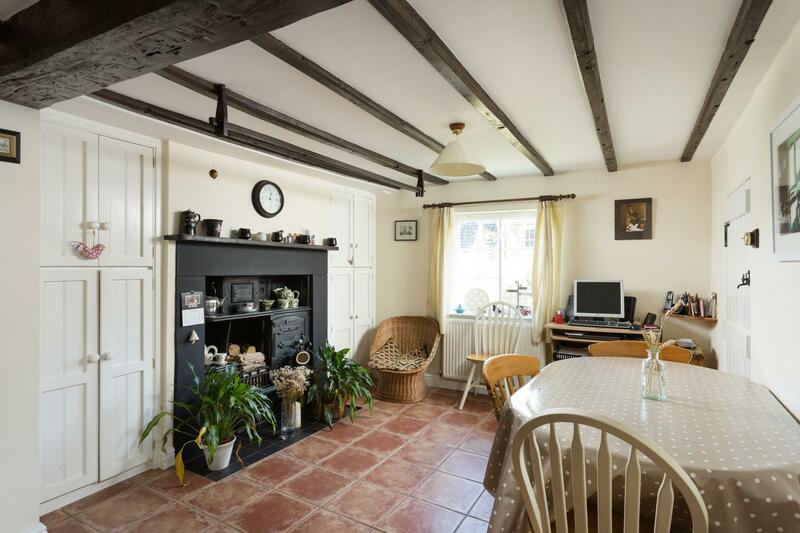 Blue Bell Cottage is an attractive double fronted cottage, believed to date from the mid-18th century, revealing characterful accommodation which has been sympathetically refurbished and extended all set within landscaped gardens with the added benefit of off-road parking at the rear. An internal viewing is highly recommended to fully appreciate. RECEPTION HALL, with tiled floor and stairs leading to the first-floor. A braced and panelled door opens to the DINING ROOM, having multi paned Yorkshire sliding sash windows overlooking front cottage gardens, with a feature stanwell, cast range made by Hardy & Hogate Ltd, with open grate and oven and black quarry tiled hearth with timber mantle, flanked by craftsman made cabinets, exposed beams and wooden clothes dryer. Archway to the KITCHEN, fitted with a range of French oak cupboard and drawer, wall and floor fittings, with granite effect worksurfaces, a free standing 4-ring cooker, stainless steel sink unit and side drainer and integral dishwasher and fridge, useful understairs cupboard. SITTING ROOM, with Yorkshire sliding sash windows to the front, a clamp brick fireplace with oak mantle and multi fuel cast stove set on a quarry tiled hearth, with fitted oak cabinet to alcove. French doors open to a flagged patio and gardens beyond. UTILITY ROOM, with rear outlook, 1½ bowl stainless steel sink unit, space and plumbing for a washing machine and dryer. Floor mounted central heating boiler, panelled and glazed doors to patio and gardens. CLOAKROOM, comprising; a wash hand basin and low suite WC. On the first-floor landing are THREE BEDROOMS. 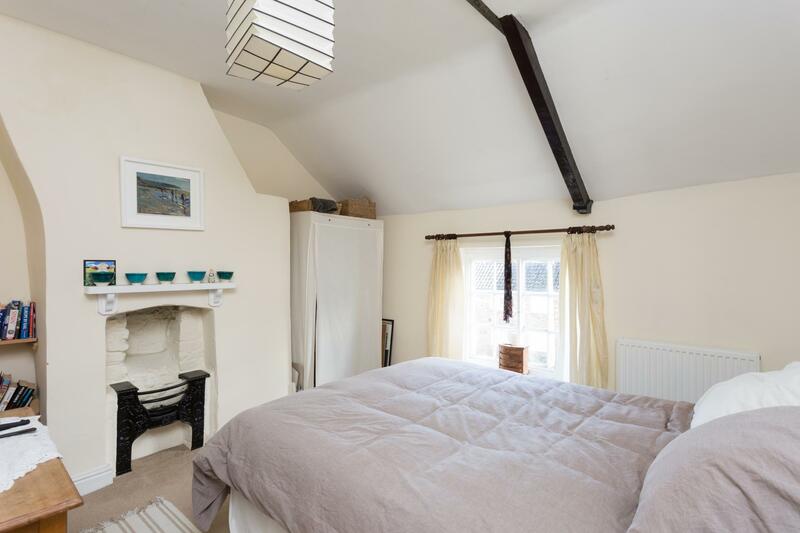 BEDROOM 1, has an exposed timber collar and rafter with pretty Georgian basket grate fireplace and pleasant outlook over period houses fronting Brandsby Street. BEDROOM 2, with exposed ceiling timbers and Georgian fireplace, walk-in wardrobe. 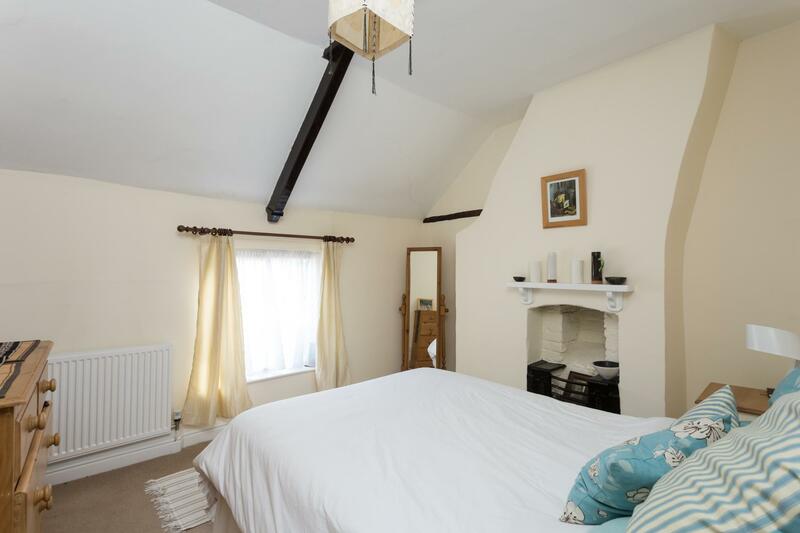 BEDROOM 3, enjoys delightful views overlooking the landscaped rear gardens towards woodland with exposed ceiling beams and built-in cupboards. 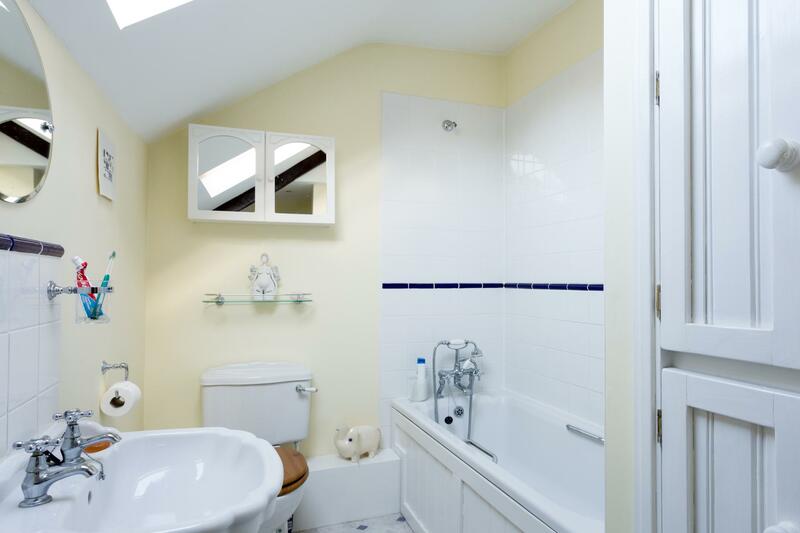 The BATHROOM, is fitted with a white suite comprising shaped and panelled bath with ¾ height tiling over and shower attachment, with pedestal wash hand basin and low suite WC, airing cupboard with shelves. 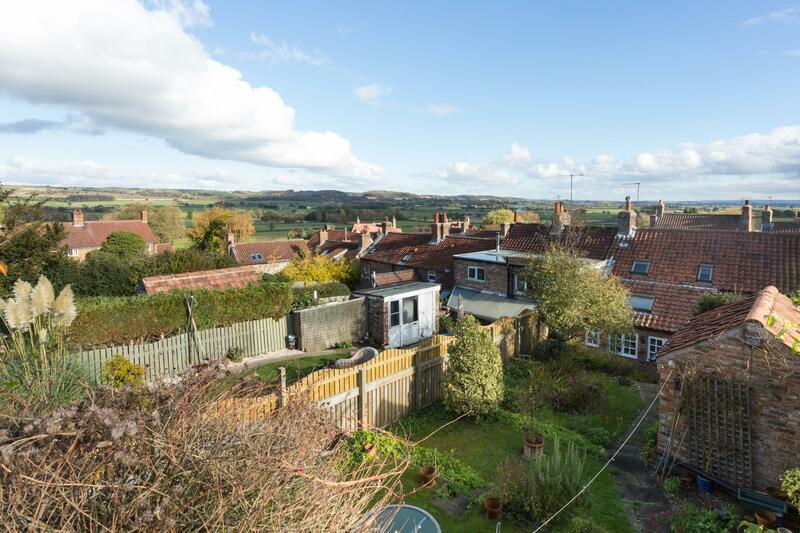 OUTSIDE Blue Bell Cottage enjoys a delightful slightly elevated position, overlooking Brandsby Street. Approached through a blue painted picket gate onto a wide path leading to the entrance door. The part walled front gardens are pretty, sub-divided into two small lawns with stocked borders and Hawthorne and Yew hedging forming the boundaries. To the rear the gardens have been attractively terraced, comprising a lower flagged sun terrace, with central stone flagged steps, (flanked by rockeries) lead up to a raised lawn garden with ornamental fish pond and useful brick-built workshop. Light and power, external light. Steps rise to a further terraced garden predominantly laid to lawn with seating areas, and border abundantly stocked with shrubs and flowering plants. A wooden hand gate and steps rise to a productive kitchen garden. Timber Garden Store. Off-road gravelled parking for two vehicles and with return access onto Brandsby Street. LOCATION The village of Crayke is one of the most desirable residential areas in North Yorkshire, with excellent local facilities including the widely renowned pub, The Durham Ox, a cricket field and a highly regarded primary school. 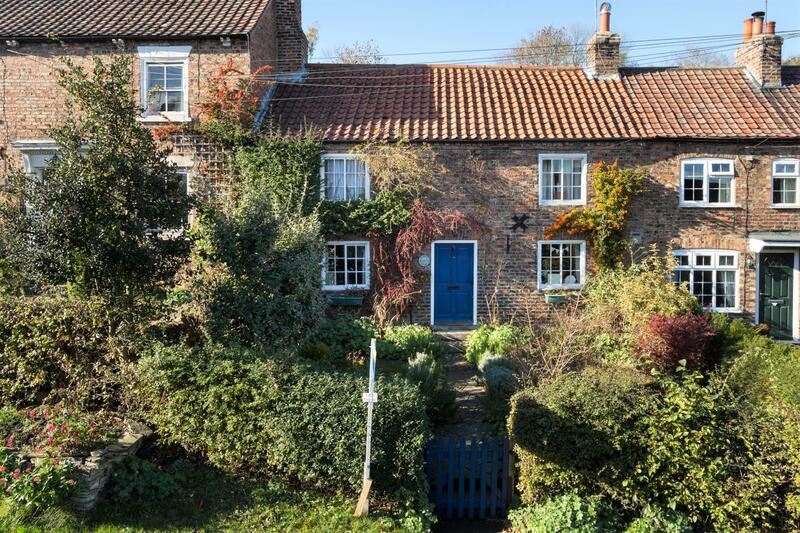 Easingwold is a short distance away, where there is an extensive range of shops and facilities, and the historic City of York is approximately 14 miles. DIRECTIONS From our central Easingwold office, proceed through Uppleby towards Crayke, and at the junction in Crayke, turn left and proceed up the hill past the Durham Ox public house, over the brow, and continue down the hill, whereupon Bluebell Cottage is positioned on the left hand side, identified by the agents 'For Sale' board.